Developers of genetic tests marketed wholly or partially direct to consumers (DTC) initially looked to selling tests for growth, then to monetizing data collected from those tests. Recent announcements, however, suggest a third monetization model for personal genetics—applying tests and their data to research and clinical studies. Credence Research projects DTC genetic testing will grow nearly fivefold, from $70 million this year to $340 million by 2022. Genetic testing is a majority of the DTC testing market measured by Kalorama Information, spokesman Bruce Carlson told Clinical OMICs. Kalorama anticipates all methods of DTC testing will grow from $15.28 million in 2010, to $173.22 million this year and $352.56 million in 2020. The most prominent DTC test developer, 23andMe, in August reported findings from research of their aggregated data from 75,607 individuals of European descent reporting clinical diagnosis of depression, and 231,747 individuals reporting no history of depression, which uncovered 17 single nucleotide polymorphisms linked to major depressive disorder at 15 genomic locations. In addition, 23andMe and another genetic test developer, Color Genomics, in July joined Washington University in St. Louis to begin a clinical study of African-American women with breast cancer. The study seeks to learn whether the genetic risks of African-American women are influenced by the same mutations that affect white women. 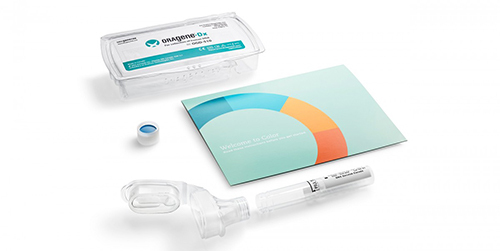 Both companies will test DNA from participants, who can opt to receive analysis of Color’s data about their risk factors for breast cancer; 23andMe does not provide risk interpretation for the disease now, but committed to researching that area further using study data.